Catherine & Mike are Getting Married! I am getting so excited! Catherine and Mike will be tying the knot in just a little over two weeks! 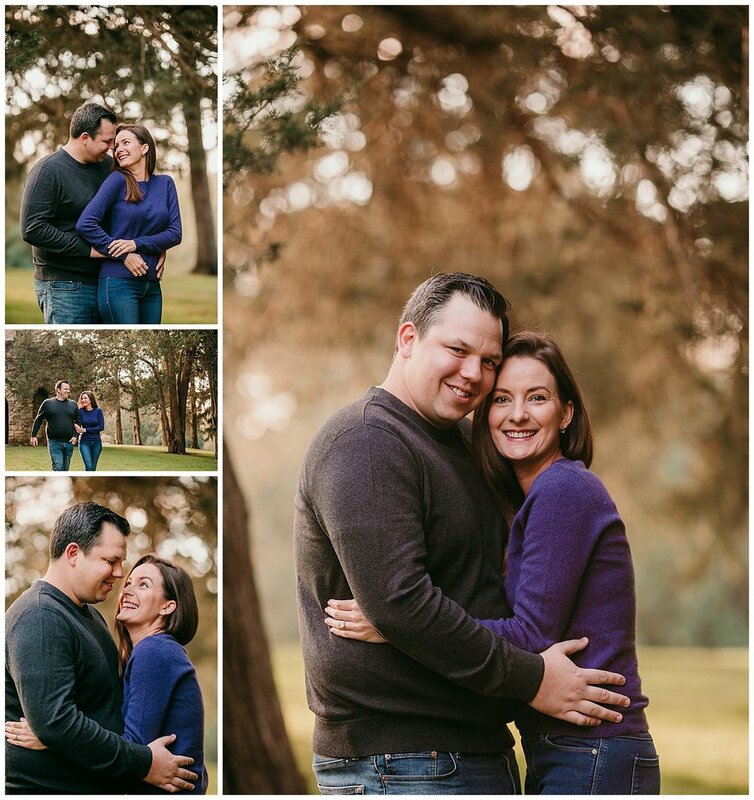 These two were absolutely amazing during their engagement session last Fall. I barely had to give them any direction and they nailed their poses every. single. time. I can’t even believe how many amazing shots we got in the fifteen minutes we were together. That’s right, 15 MINUTES! It was a cold day (nothing like today though, thank goodness), and instead of rescheduling, they decided to just grin and bear it. You can’t even tell they were actually freezing. Now here’s to hoping it warms up just a little bit for their February Winter wedding! With the weather being so icky lately, I've been getting this question a lot! “What happens if it rains on my session date?” Definitely a fair question and the cause of lot of unnecessary anxiety. So to ease your mind on the impending weather, here are 5 things you can do in case of rain! I know it’s no fun to be all excited for your photo shoot and then see in the forecast that rain is in the cards. But the great thing about a session versus a wedding or scheduled event is that you can usually reschedule! Bad weather is considered an “act of God” and it is totally acceptable to ask for a new date. But if rescheduling isn’t possible and you’re looking for other ideas, read on! 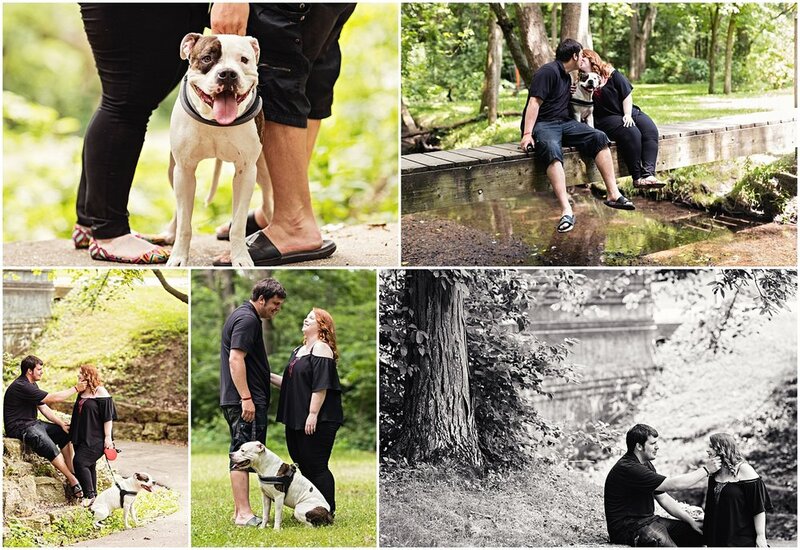 Seriously these are the cutest in pictures! As long as the rain isn’t crazy hard or storms are brewing, you can definitely get away with just bringing along umbrellas. Often there will be breaks in the rain where you can take some shots without and while it’s raining, use the umbrellas. I got one for my kids on Amazon.com and last I checked they had them at Target! To go along with the last one, if the rain isn’t too bad, just finding a place with roof options is helpful. Use the tables for some cute shots while you’re in the shelter and just pop in and out as the rain comes and goes. If you’re local to me (Clinton, IA) I know Eagle Point Park is a great option for this! In the Quad Cities, Van der Veer Park (Davenport, IA) has an indoor garden area. Or maybe you have a place of your own in mind like a cool garage or pretty gazebo! Lifestyle sessions in your home are absolutely wonderful! I love them. They are so real and genuine and tell another part of your story. There are endless possibilities when it comes to in-home sessions. And we can always pop outside if there’s a break in the rain. Wet hair don’t care! Have fun with it, dance in the rain, take your shoes off and live it up! Your rainy day session could be the perfect opportunity for fun and unique shots that no one else has! There you have it! No reason to worry about the rain. If there are thunderstorms or it’s downpouring, rescheduling is going to be your best option. It won’t only be wet but also dark and with that much lack of light, your photos probably won’t turn out the way you want them to. But if it’s a light rain and just a bit cloudy, you now have several options to consider so you can still rock your rainy day shoot! Ready to book a session, rain or shine?! Contact Me so we can talk about scheduling your photo shoot!